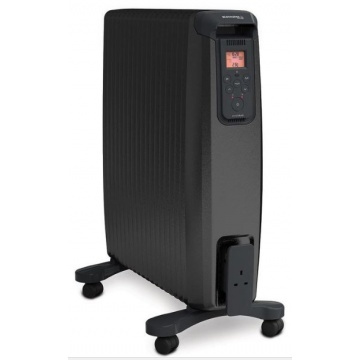 Dimplex 2kW EvoRad Bluetooth Controlled Oil Free Radiator is a compact freestanding radiator with a patented oil free technology and Bluetooth controls. 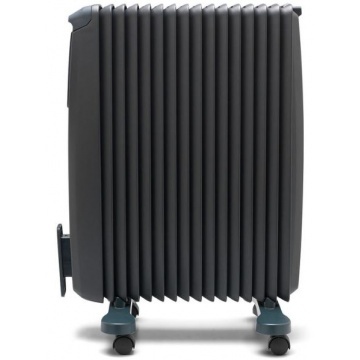 The patented oil free technology employed within the EvoRad radiator is state of the art and offers ultra fast heat up with up to 18% energy saving compared to traditional oil filled radiators. 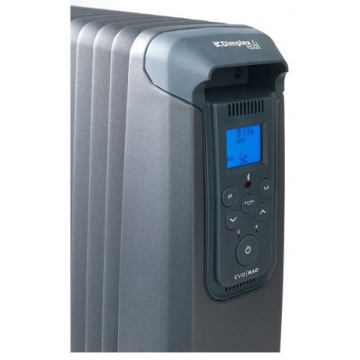 Uses 18% less than traditional oil filled radiators. 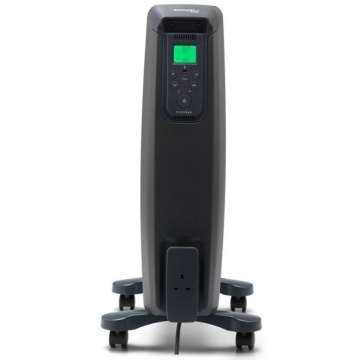 Bluetooth control via phone or tablet app, free download from Apple App Store & Android Play. Castors and integrated carry handles. Easy to read, colour-changing LCD screen. Set 4 programme periods per day. Controls on the side of the heater.